The Buick Roadmaster Estate is to the car world what Tyra Banks is to the modeling world -- some people swoon and salivate, other's shrink in horror at obscene dimensions of that Zeta Reticulan facial profile. But regardless of where you fall in Roadmonster love/hate spectrum, we've got the nicest Tyra Banks...errr...Roadmaster you'll ever put your fingers on from the best year of Roadmaster production. 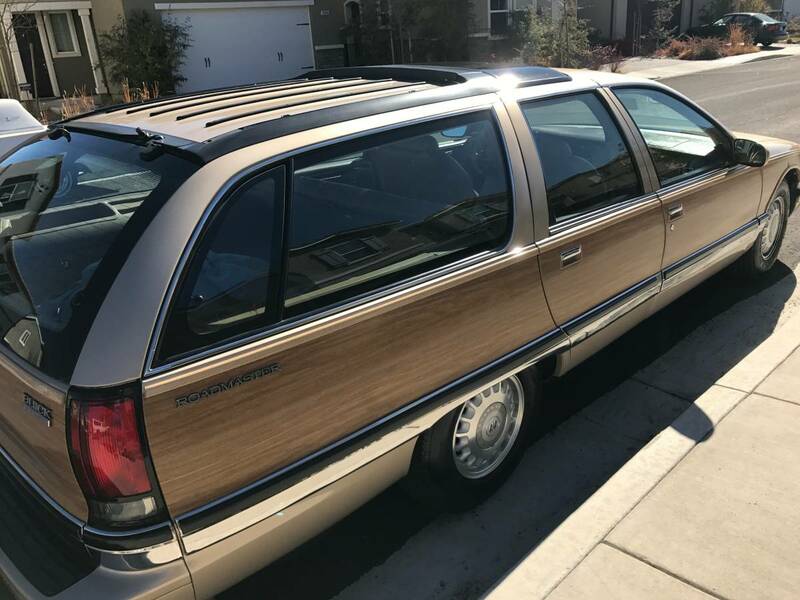 Find this 1996 Buick Roadmaster Estate Wagon offered for $9,900 in Los Angeles, CA via craigslist. 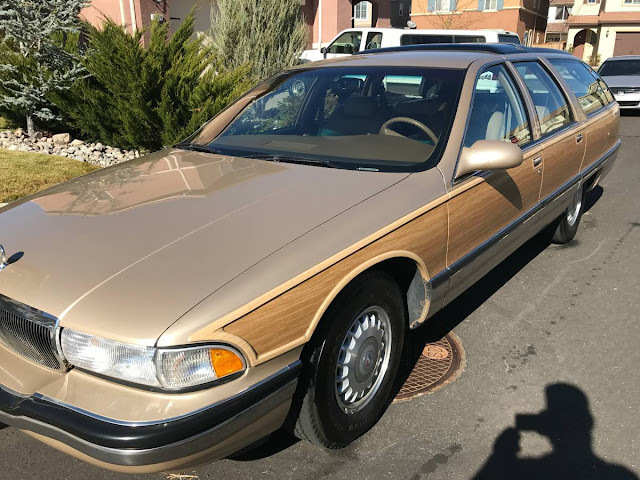 For sale is this incredible 1996 Buick roadmaster estate with 65k miles. The car is in beautiful shape. It has a lt1 corvette motor that runs excellent. Air conditioner blows ice cold. Email me with any questions. Clean Nevada title. Vehicle locate in Reno,NV. I appreciate that phrase in relation to these polyester and white shoes and belt-mobiles: "so it went to the crusher..."
If you have a car like this to sell, and you hope to get this much money for it, wouldn't it make sense to fit it with period correct white wall tires? I have a 1996 Park Avenue, and it wears white walls and wire wheel covers. Blackwalls would look out of place on it. If you want a tire from a known tire company you're basically stuck with black. I've got a Fleetwood from the same era and have the same problem. There are some chinese imports with whitewalls available but I'll pass on that. my local tire store has a Firestone FR710 in whitewall. My car takes a 205/70/15. I also see Discount Tire has a Cooper in white. And of course the Milestar which i guess is an import. Not totally impossible for my size.